and battery strength are also displayed. Sound comes through radio speakers as well. €245 Fitted. while still driving safely. Four speaker amplified output ensures premium sounds. €295 Fitted. Nokia CK-100 Bluetooth Car Kit with Phone Charging €195 Fitted. and models. This kit has been designed with style in mind, the new click wheel will look good and unobtrusive when installed into any vehicle. 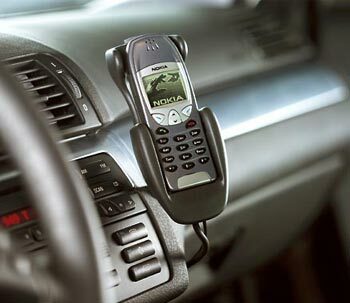 Nokia CK-300 Bluetooth Car Kit €225 Fitted. 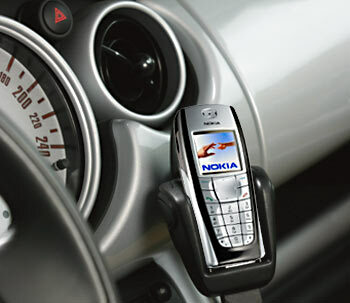 This high quality and stylish Bluetooth car kit from Nokia is the latest edition to the Nokia range. The CK-300 offers loud and clear sound and call handling through a simple yet stylish dashboard mounted interface. The CK-300 lets you dial numbers using Voice Activated Dialling and includes a built-in phone charge lead. The Nokia Display Car Kit CK-600 has an excellent large display which easily mounts onto your vehicle's dashboard. You can use the active call management to synchronise your contact details directly with the car kit. Apart from providing easy call management, the CK-600 allows you to play your mobile music collection through your car's loudspeakers.